Elgin, Ill….A powerful new search feature on Elgin Industries’ electronic catalog – available at www.elginind.com – enables engine rebuilders, repair technicians and other users to quickly and easily drill down to the correct replacement engine and/or chassis components by entering common dimensional criteria and other desired technical specifications. The new tool can be accessed by visiting www.elginind.com, clicking on the “ECATALOG” tab, then selecting “Technical Lookup” beneath the “Catalog” tab on the eCatalog page. 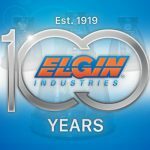 Established in 1919, Elgin Industries is a Tier One supplier of original equipment engine and chassis components and offers a full range of replacement parts for popular passenger car, commercial truck, performance, ag/industrial and other applications. 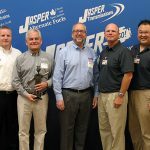 The company engineers and manufactures products in its state-of-the-art headquarters and production complex in Elgin, Ill.